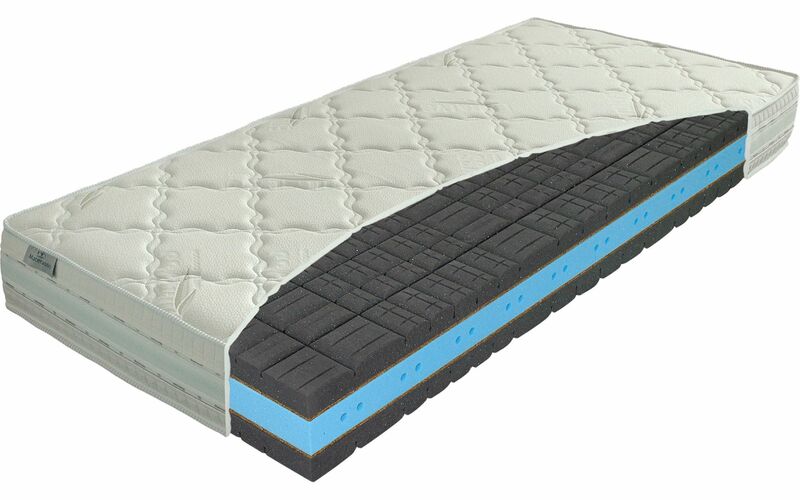 A luxurious, comfortable, high mattress with zoned core enclosed on both sides by sectioned layers of Swiss EvoPore HRC foam, interwoven with layers of natural coconut fibre. This structure provides a perfect support for the body and a feeling of comfort, in spite of the firmer core, as well as a higher weight-bearing capacity of up to 140 kg. The Eucalyss cover is detachable and can be washed at up to 60 °C.